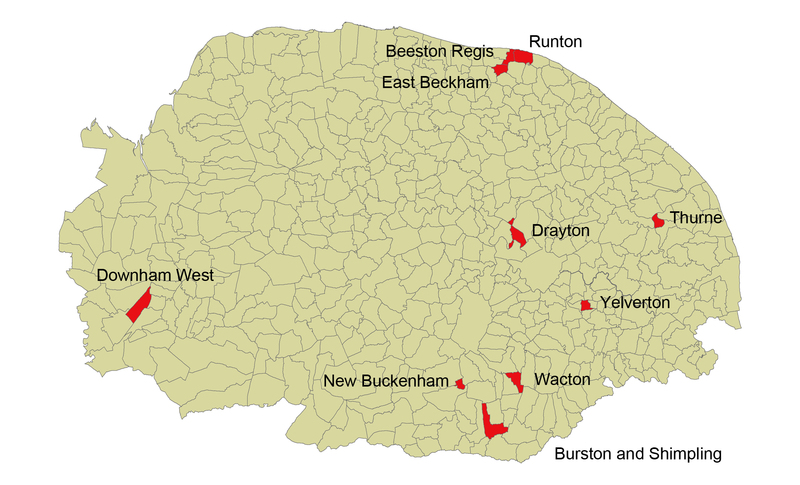 Author UEA Landscape HistoryPosted on March 21, 2016 Categories UncategorizedLeave a comment on The Brecks 1700-1930: A Landscape Revolution? 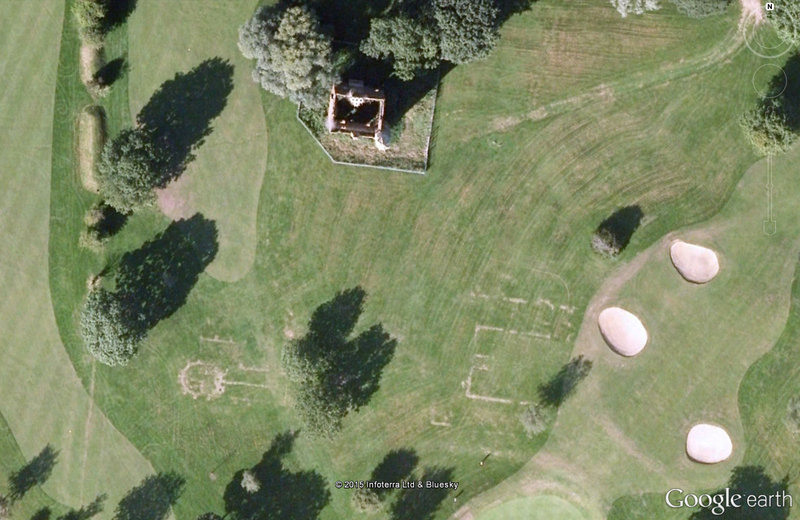 UEA, Lecture Theatre 1, 6.00pm (free to attend, all welcome). 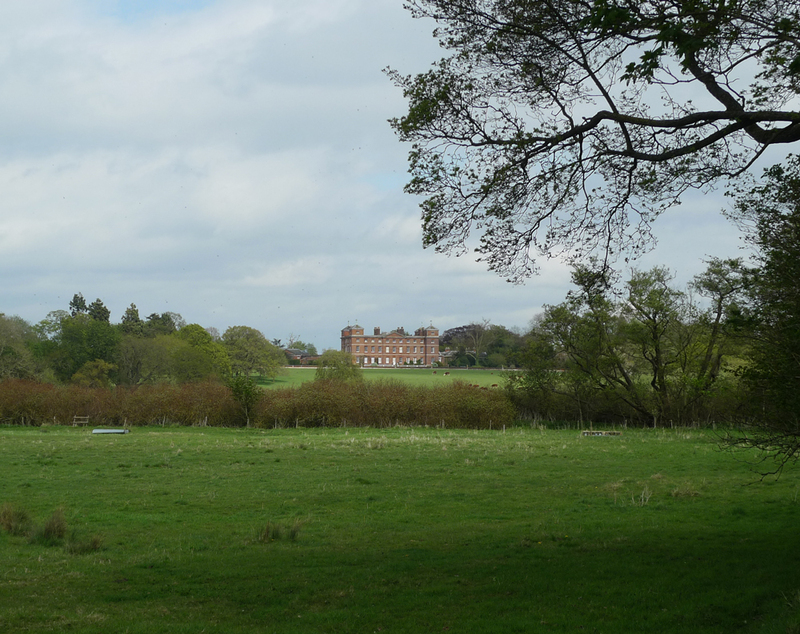 Tom will be kicking off the current round of CEAS lectures on Tuesday 3rd March at 6.00pm, talking about the history and archaeology of demolished country houses in Norfolk. 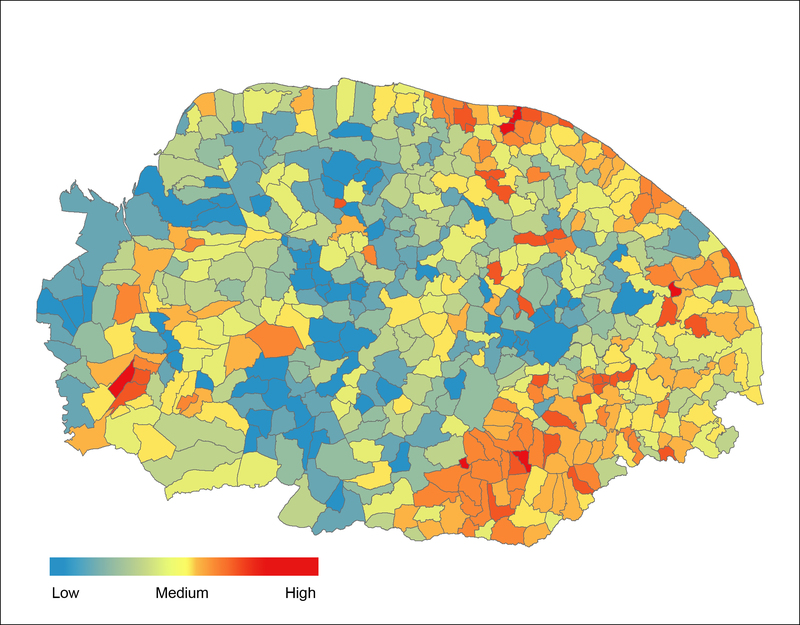 The lecture will be based on a wider project which Professor Williamson has been working on with Ivan Ringwood and Sarah Spooner, the results of which will be published in the near future. Please see our Events page for the full programme of Spring 2015 lectures. Jospeh Rykwert, notable architecture historian and critic will deliver the 2014 RIBA lecture at UEA. Rkywert is the RIBA 2014 Gold Medallist and Paul Philippe Cret Emeritus Professor of Architecture (University of Pennsylvania). Throughout his career he has written many influential works on architecture, including The Idea of a Town (1963) and The Seduction of Place (2000). The lecture will last for approximately 1 hr and will be followed by a complimentary reception in the Sainsbury Centre for Visual Arts. Attendance is free, but places must be reserved. Please RSVP to Corrina Theobald at corrinatheobald[at]fieldenandmawson.com or call 01603 629571. This event is kindly sponsored by RG Carter. 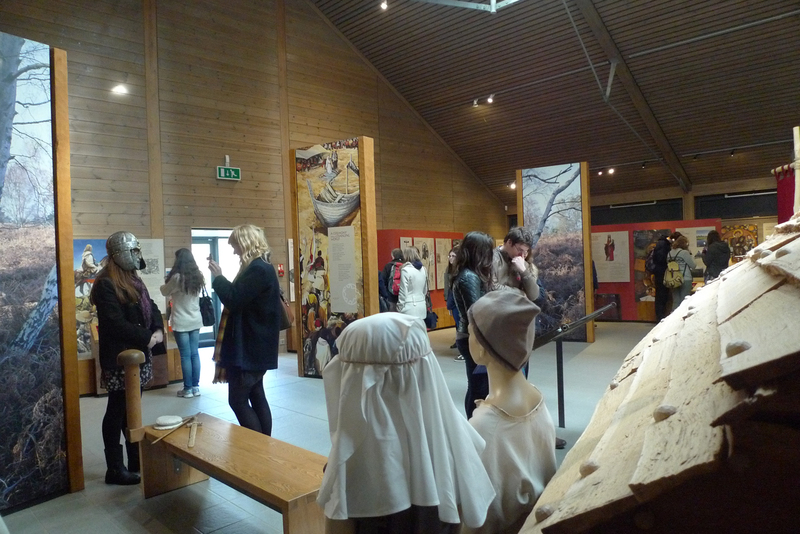 In March we hosted a trip for the UEA History Society, taking them to Sutton Hoo in Suffolk. We explored the National Trust exhibitions, walked around the burial mounds and discussed the landscape context of the site. 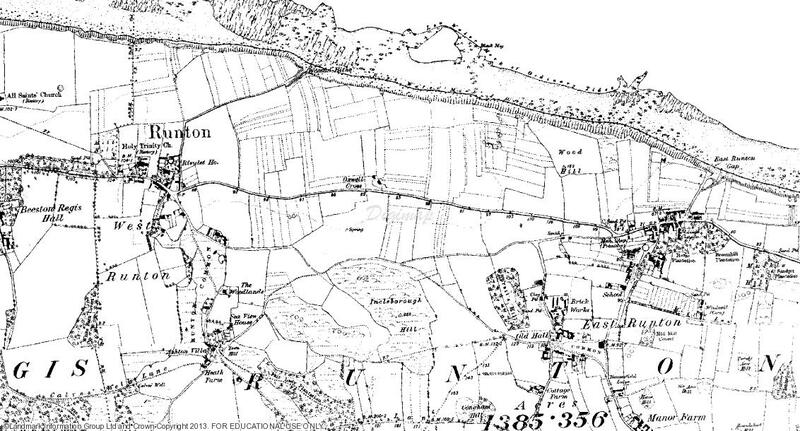 Hopefully those who have never studied landscape history before went away with a slightly clearer idea of what we do! The National Trust visitor centre at Sutton Hoo, Suffolk. 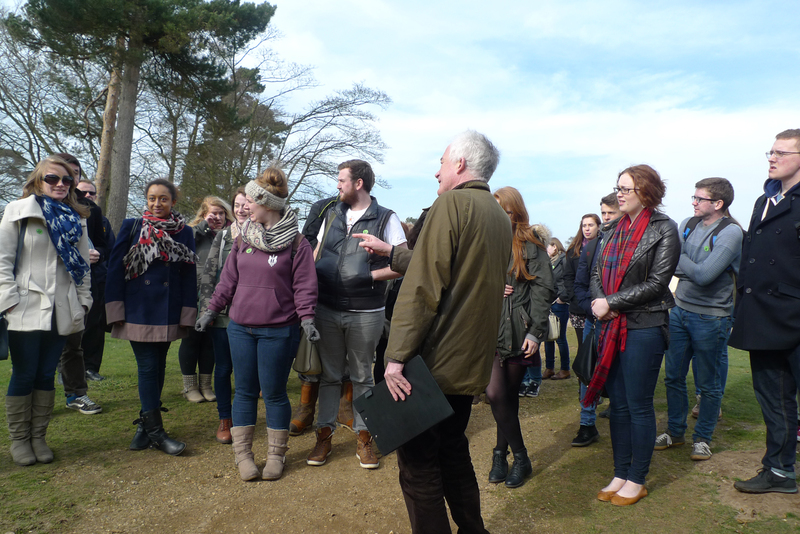 Prof. Tom Williamson discusses the finer points of the landscape of Sutton Hoo with students from the UEA History Society. At the end of March we spent a wonderful day at Ickworth with our third-year students, untangling the history of the park, its buildings, earthworks and trees. In the course of the day we covered the building of the hall, the laying out of the gardens, the expansion of the park over former farms and roads, the demolition of the old manor house, the recent restoration of the parish church and finally the construction of the walled garden and summerhouse in the early eighteenth century (see photograph above). 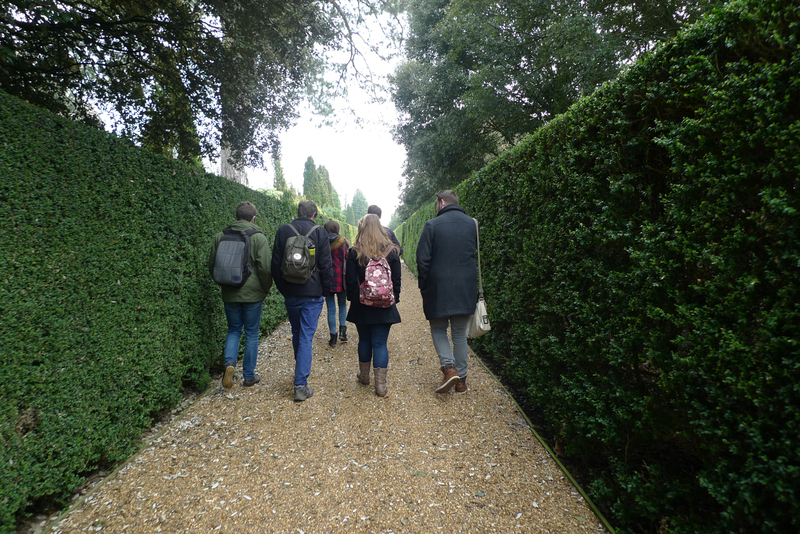 A group of third-year landscape history students exploring the gardens at Ickworth. 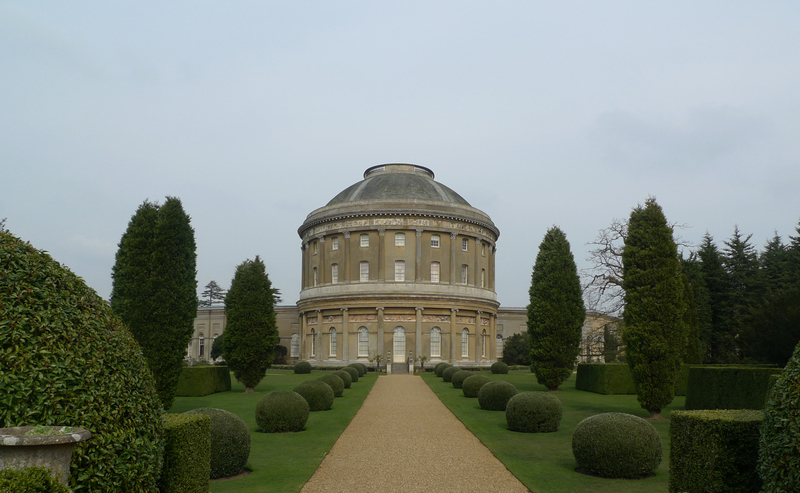 The rotunda at Ickworth, originally commissioned by Frederick Hervey (1730-1803), Earl of Bristol and Bishop of Derry. 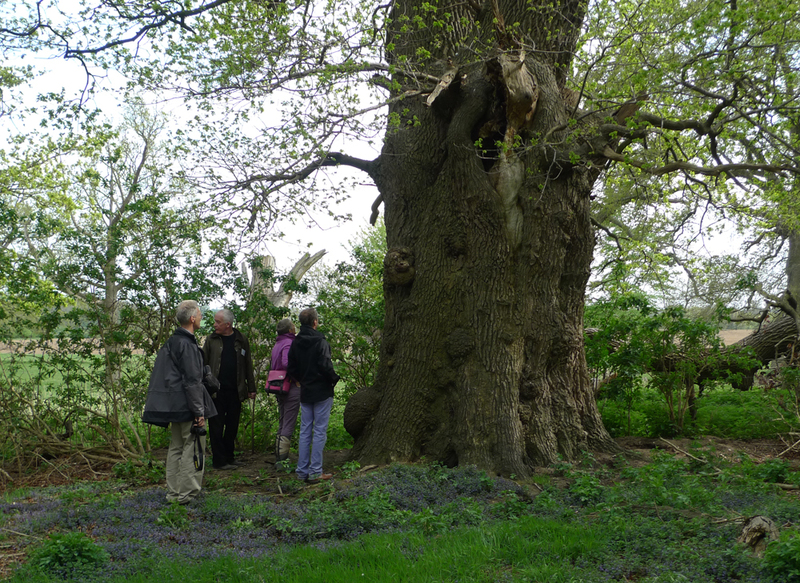 A double-header for our second year students, spending the morning at Wayland Wood with Prof. Tom Williamson and the afternoon at Castle Acre with Dr Jon Gregory. 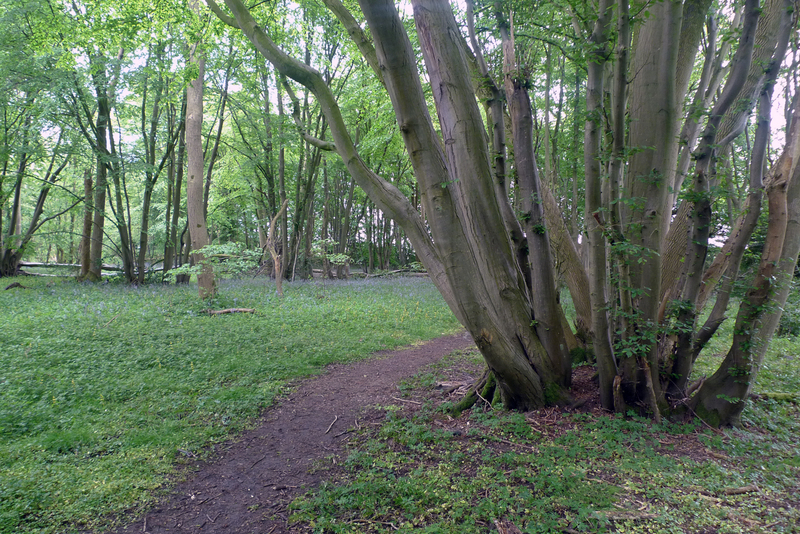 Wayland provides an excellent site for studying ancient woodland, with some good boundary earthworks and an opportunity to see coppice rotation in action. Thankfully enough leaves were out to a) give the students a crash course in identifying key species and b) mitigate the effects of a severe Spring downpour. 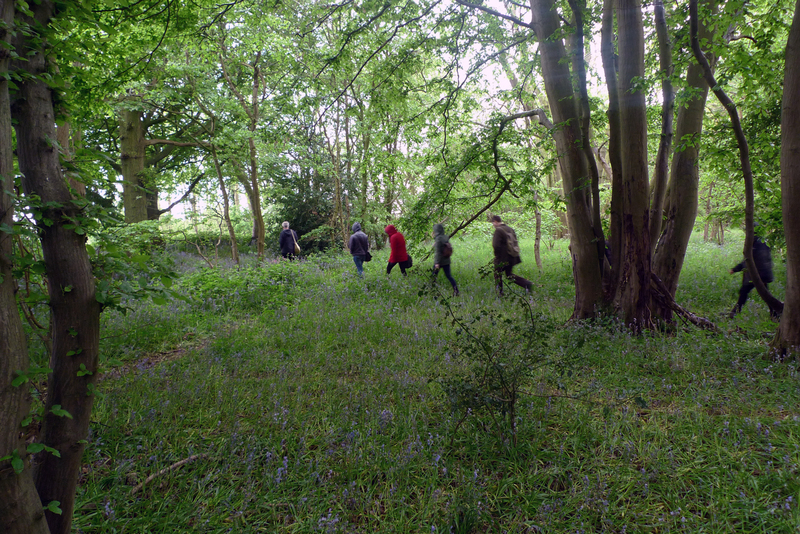 Second-year landscape history students heading towards the boundary of Wayland Wood. At Castle Acre we admired the architecture of the Ostrich Inn from both inside and out before making our way to the Priory. 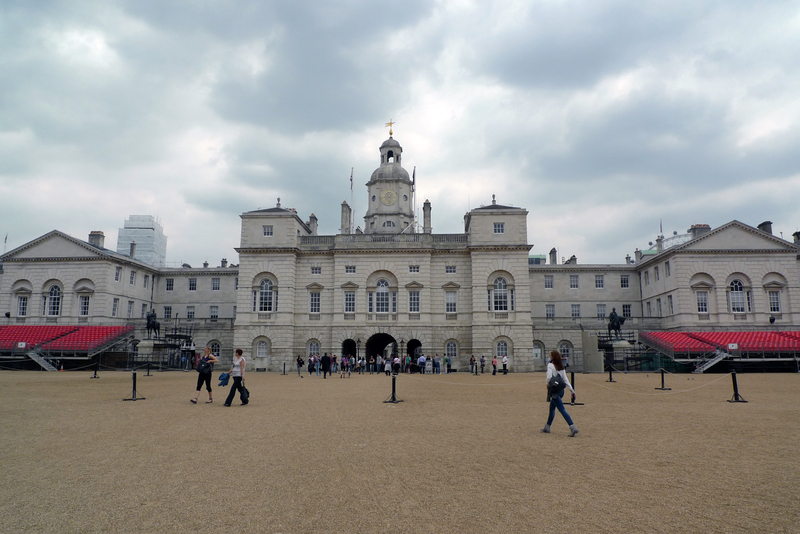 Walking around the precinct provided some valuable early revision in advance of the exam. We then retraced our steps back through the village to the castle, discussing its complex development and its place in recent debates on the function and meaning of medieval castles. 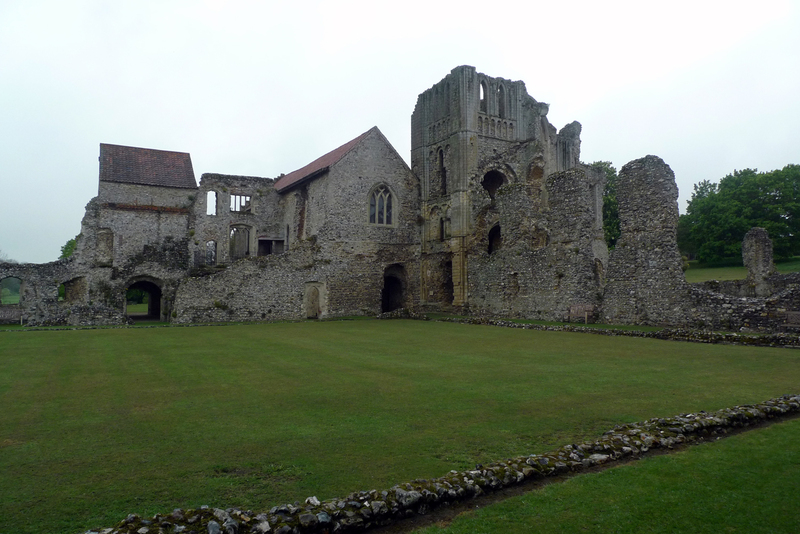 Castle Acre Priory – The west end of the church and the Prior’s lodgings, seen from the east side of the cloister. 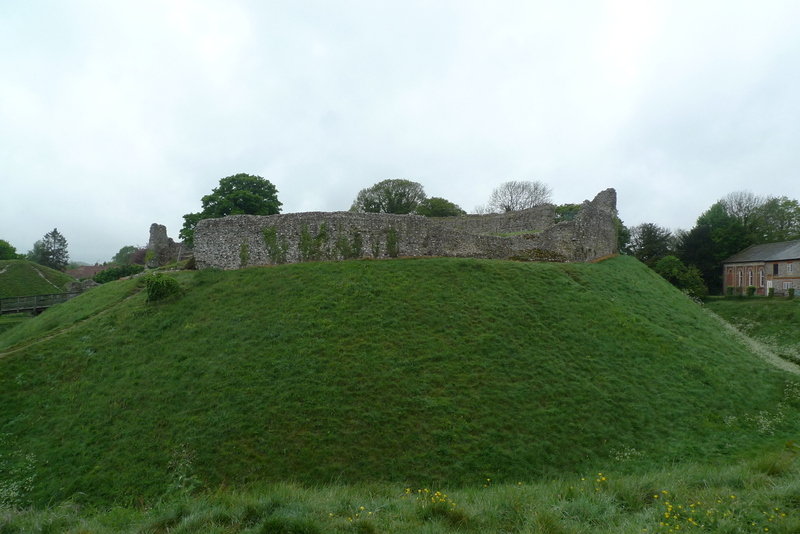 Castle Acre castle – the remains of the curtain wall which surrounded the keep. The London field trip has become a firmly embedded part of our third year landscape module in recent year, though this year was more challenging than most due to the fact that most trains were terminating at Colchester and it was FA Cup Final day… We met part of the group at Liverpool Street and the rest at Westminster before making our way to St James’s Park, via Inigo Jones’ Banqueting House. 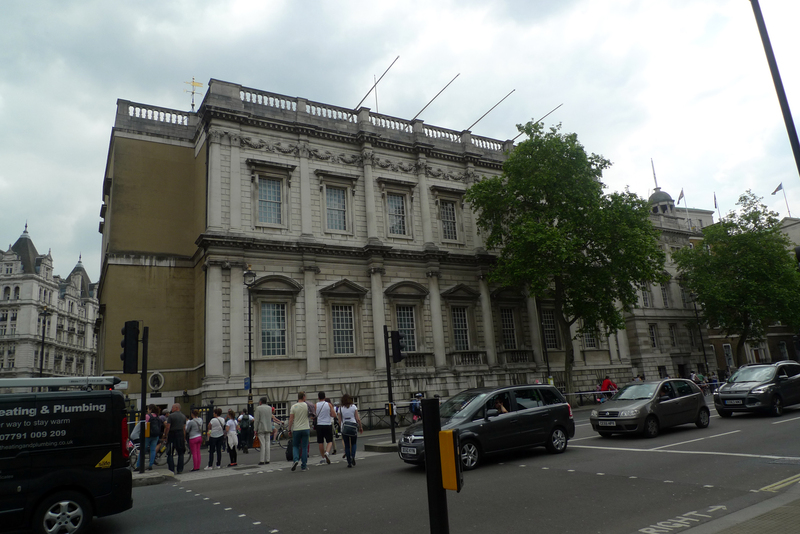 After a tour around St James’s and Green Park we went to the V&A to see the excellent William Kent exhibition. 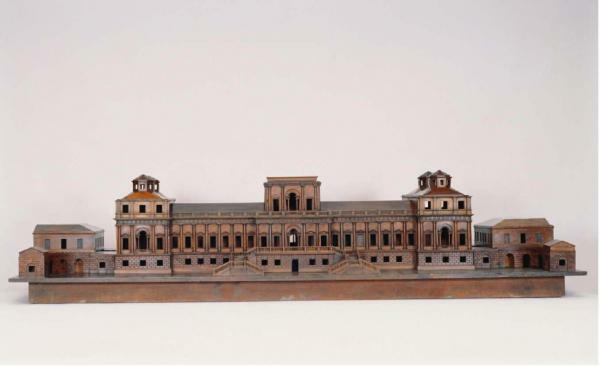 A particular highlight was the rather large scale model of Kent’s design for a new palace at Richmond (which was never built). This year’s exam timetable meant that there was just time to squeeze in one last field trip before the academic year drew to a close. 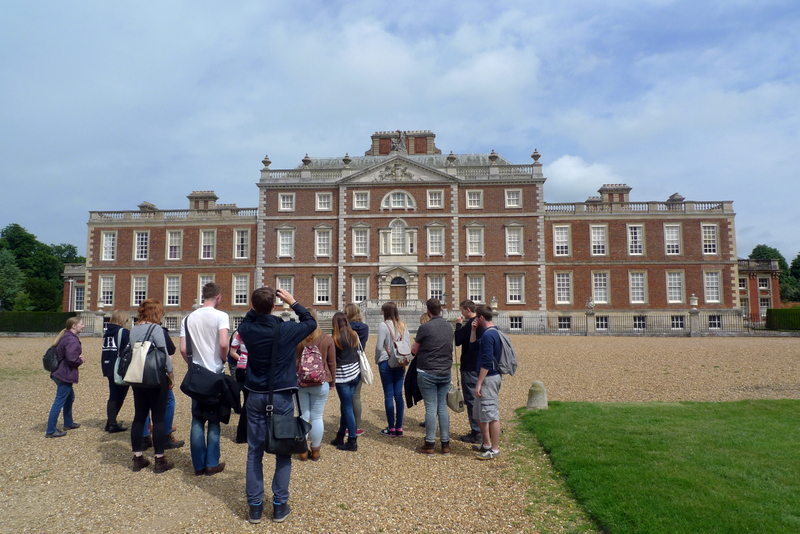 Wimpole in Cambridgeshire was the destination for a trip which was part revision and part pre-final exam relaxation and reassurance. Wimpole has been shaped by various designers and architects including Henry Flitcroft, James Gibbs, Charles Bridgeman, Robert Greening, ‘Capability’ Brown, Humphry Repton and John Soane. 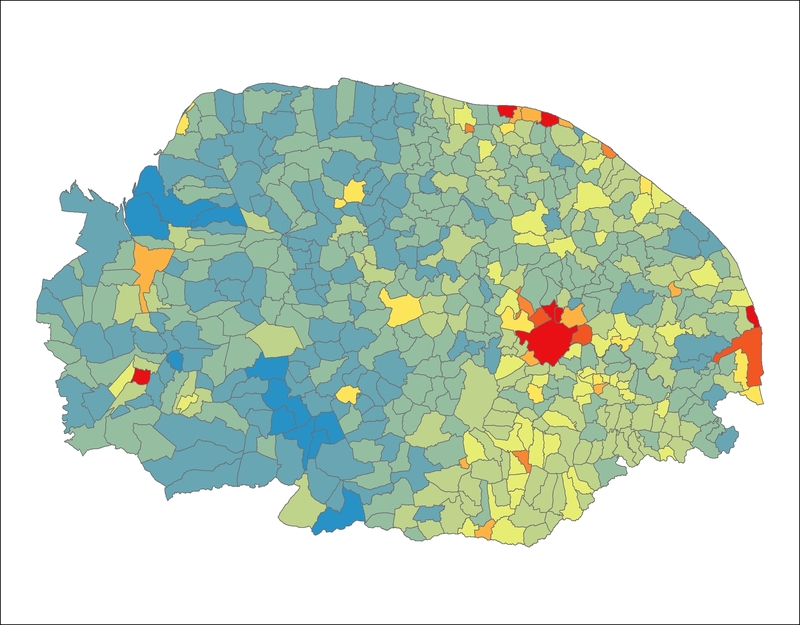 A good opportunity, therefore, to test the students’ knowledge of changing estate landscapes in the post medieval period. 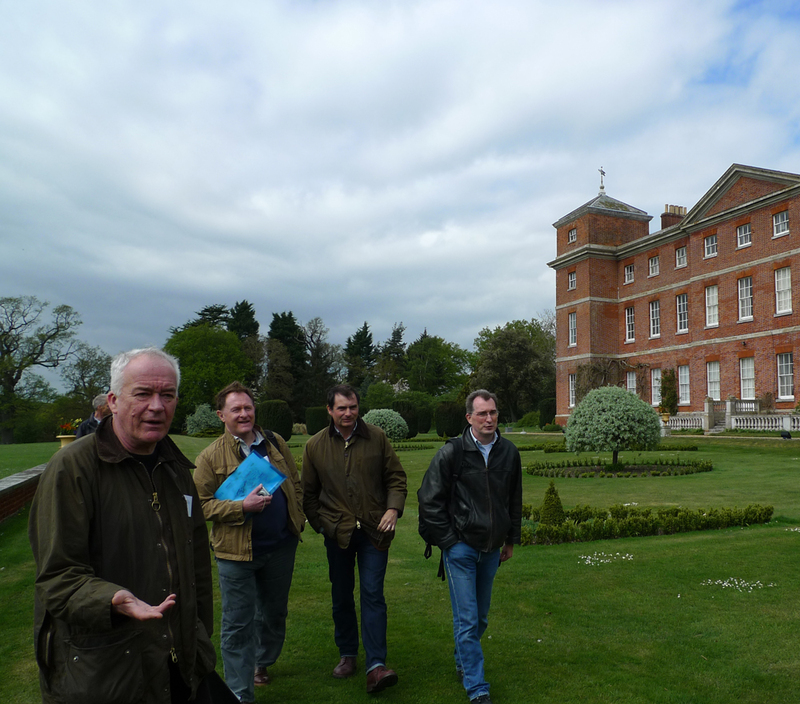 Third-year landscape history students on their final field trip of the year to Wimpole, Cambs. 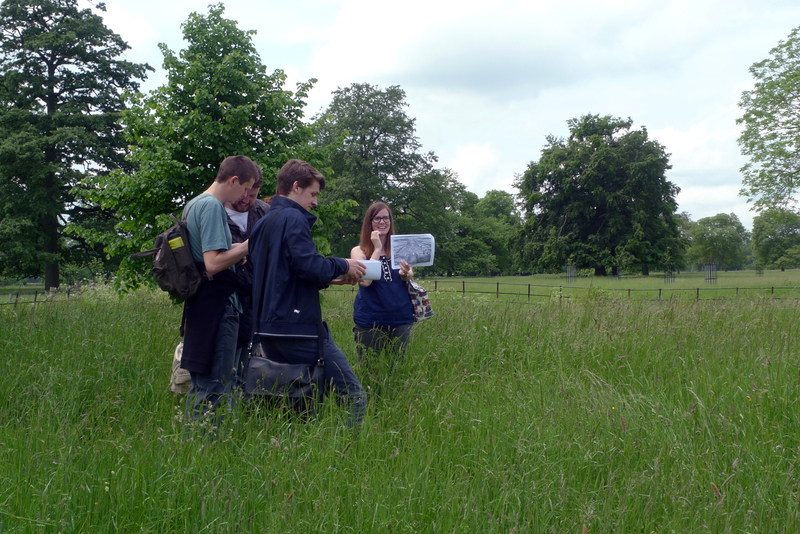 Dr Sarah Spooner attempts to convince students that the earthworks of the early eighteenth-century gardens at Wimpole do still exist underneath the very long summer grass. And that, as they say, was that. The exams went well, the sun shone at graduation and we can now look forward to planning our field trips for 2014/15.